It’s more than fast enough to turn a Hellcat into a Hellkitty. 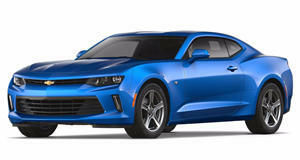 The Dodge Challenger Hellcat may still be one of the best horsepower per dollar cars on the market, but a close second is this Chevrolet Camaro unveiled by Fireball, dubbed the Fireball 900. For those that thought the 900 part of the name was a reference to the horsepower output, that isn’t exactly the case. That’s because thanks to the magic of supercharging, porting, and a bit of ECU tuning, this red hot Camaro makes 990 horsepower at the flywheel. Coming from one of the first tuners to build a 2016 Camaro that can run the quarter mile in the 9 second range (sorry GM, they beat you to it), we can assume that the Fireball 900 is the real deal. The outrageous horsepower levels challenge cars like the Porsche 918, Ferrari LaFerrari, and McLaren P1. Once the power snakes its way to the wheels, losing a bit of grunt due to the drivetrain losses, the Camaro will be putting over 826 horsepower to the road. As one might expect, the Fireball 900 also beats its hypercar challengers in terms of horsepower per dollar. Available at select dealerships for less than $90,000, this Camaro hits the sweet spot of offering around one horsepower per $100. It’s neither loud nor subdued in its styling, with a custom hood, rims, and badging. With a coat of black paint keeping the visual volume at a minimum, the Fireball 900 is ready to beat cars many times its price without giving things away until it fires off into the distance at the drag strip. Keep that in mind the next time you want to race a Ferrari 488 GTB for pink slips (assuming the Ferrari owner is dumb or arrogant enough to want to do so). 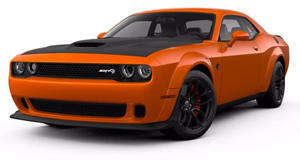 It’s modifications like these that keep the spirit of the muscle car alive since owners can now opt to blow the ZL1 and Z/28 Camaro out of the water with an additional 340 horsepower or 485 horsepower (one standard Dodge Challenger SRT) respectively.